Cheap Cyprus holidays can be found but you have to put in some effort to locate the best bargains. Cyprus is a very, very popular destination, the flights are usually booked up months in advance, both on scheduled aircraft and with the tour operators. So, you need to be ahead of the game if you want to bag yourself a bargain and know the best tools to use to search for your trip to Cyprus. 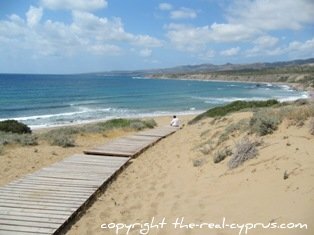 So how do go about researching for cheap cyprus holidays? You have to decide the answer to a few things first, in order to get your ducks in a row and search for specific information. If you are not bothered, when you go, or where you go, you might be lucky and bag a bargain but in order to get best value for money you need a bit of planning. Have You A Specific Budget In Mind? Do You Mind Who You Fly With? Do You Mind What Time You Fly? Do You Need To Know Where You Are Staying Before Arrival? Do You Need Just A Place To Sleep Or Something More? Do You Need A Transfer From The Airport? Clearly, summer is more expensive than winter so you need to be clear when the seasons start and finish. The summers are very hot in Cyprus so you might actually prefer to go later in the season. The island is situated in the eastern end of the Mediterranean Sea and close to the middle east so the weather can be fabulous in November and December. We have spent time on the beach during those months but you cannot guarantee what the weather will be except to say it will be warmer than northern Europe and parts of the USA. This is a consideration because it is more expensive to be near the sea, and in Paphos than to be in Platres in the mountains. Nicosia as the capital is pretty pricey as the hotels there host business people a lot of the time. Larnaca is cheaper than Ayia Napa, because more people prefer further up the east coast, particulary families for Protoras and clubbers for Ayia Napa. Have You Got A Specific Budget In Mind? Obvious of course but the point to be made here is really, is your budget realistic. It is not uncommon to get to Spain for a week from UK for about £200/£300, but Cyprus is further away and more expensive to begin with, so no point in chasing something that may not be possible. That said, if you come out of season you could probably stay in the hotel of your choice for a better rate than if you came during high season (July & August. I would also suggest you get on all the mailing lists of all of the tour operators who fly to Cyprus to see what offers are available. If you fly in the middle of the night or early hours it will be cheaper. Airline costs are cheaper at this time of day, costs such as landing fees. we recommend using a search engine where you can look at many flights from different airlines in one go. It saves you time, money and frankly your sanity as well! I said you would have to work for your Cheap Cyprus holidays didn't I, it is not a 5 minute job unfortunately. This is an important question in your quest for your cheap cyprus holidays because, sometimes, with tour operators you can get a cheap deal if you don't mind being allocated on arrival. This is an important question because it determines what your priorities are in how you spend your budget. If you really want a cheap holiday, if you consider your room just a place to sleep, then the costs can be lower, but if you want your room to be especially comfortable and it must have a sea view, etc then your cheap cyprus holidays become expensive ones. Are you booking a package that includes transfers, does not include transfers. Are friends meeting you? Do you need to book a taxi to your final destination? It is recommended you book a taxi before you arrive because, there are a few unscrupulous drivers around, who know you are a tourist and will play on the fact you will have no idea if the taxi fare you are paying is the correct one. Booking in advance, means you know how much you are paying before you arrive which is useful if you are on the hunt for cheap cyprus holidays and you don't have to go hunting for transport at 3 am when you would rather be in bed. Cyprus taxi drivers are up in arms at the moment about competition from buses because there are now more of them and the service is better than it used to be, so taxi drivers feel threatened about losing business. That said, it is not always easy to get to your destination from the airport using a bus, especially for very early and late flights. Entirely up to you of course, I just wanted to mention the situation so you have all the facts, especially if you are looking for cheap Cyprus holidays, taxi fares may come as a shock at the moment, especially if not booked in advance. Again, if you are keeping to a budget, knowing the cost of the car hire before you go makes sense. Is Cheap Car Hire In Cyprus Possible? Our best advice is to use a car broker because they search all of the available cars on offer for your dates and provide you with a selection of car types and prices. You also have guarantees in place about the quality of your car, back up if you break down and a full back office function for any problems you may encounter. You will not get that kind of guarantee if you just book anyone!. Just be advised, that is all we are saying, you have to balance cheap with safety in the case of hire cars, especially if you have children with you! If you want to use a booking engine that searches for your cheap car hire in Cyprus you can have a look at this one, it searches all of the main car hire companies and you pick the one that suits your budget best...See what you think! If you prefer to book separate hotel accommodation, one of the best search engines is Trip Advisor. It is a huge site, and driven by users of the accommodation and an excellent search tool for a bargain holiday Cyprus. For example, if you want to choose a hotel in Paphos, input the town name, and you will get a list of all the hotels on the site. They are listed in the order of popularity and you can see umpteen reviews, so not only can you choose a cheap holiday in cyprus you can be sure to have the opinions of those who have gone before you. People pick up the little niggles and like to mention them, and will also tell you the things they loved so you get "warts and all" balanced reporting, which has got to be a good thing, particularly if you have never visited Cyprus Island. They are part of TUI PLC and this is where they offload their rooms that are not sold. Really like Hotels Combined because it is a search engine that trawls no less than 30 sites to find you the best price on your hotel room. If you are looking for cheap cyprus holidays and want to book a villa or self catering then look no further than HomeAway rentals. Why HomeAway Rentals in particular? They are the "largest uk holiday rental site" on the internet, so you may as well start on their website, because the rentals on here will be also advertised on all of the other rental websites you see. Most people seem to advertise on them all for good coverage. The other really good site for self catering in Cyprus is Holiday Lettings. Well they are a good tool to use, very professional site and you can find some great holiday rentals in Cyprus on here. If nothing else, be advised that 9 times out of 10 you will get a terrible deal from both these places, however, if you need to use them for convenience, then please do so, just advising not the best exchange rate usually, especially as you are looking for cheap cyprus holidays, and this side of things could take your budget right out of the ballpark. Use a fantastic search engine, such as the one below that sorts through what is on offer for Cyprus all year round on a date to suit you. You will be comparing many holidays at once and you choose the tour operator and package to suit you. Brilliant! Enjoy your search for cheap cyprus holidays and we wish you a fantastic holiday to Cyprus, Island of love, whatever way you decide to research and book your holiday.